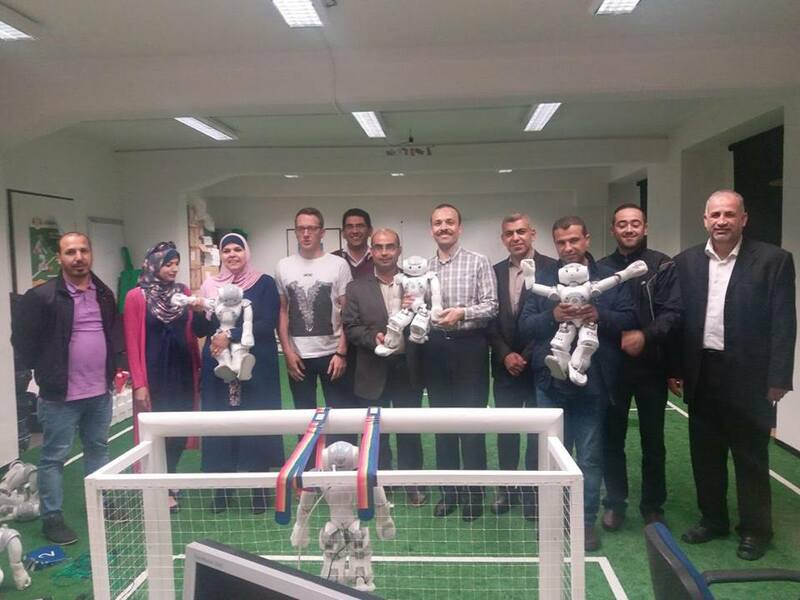 On 2 May 2018, the BITPAL Coordinator, University College of Applied Sciences (UCAS) in collaboration with Leipzig University of Applied Sciences (HTWK) organized the third training mission for the Palestinian partners in Leipzig-Germany at Leipzig University of Applied Sciences (HTWK). Participants from Al-Azhar University, Al-Aqsa University, University College of Applied Sciences, Gaza University and PITA attended the training mission that lasts in the period 2-6 May 2018. The objective of this training mission was to introduce PS partners into different aspects of curricula development, student’s practical work, and the integration between the academic sector and the private sector in the German system. On the part of HTWK, Prof. Klaus Hänßgen welcomed the group and highlighted the cooperation with enterprises, practical training in hi-tech institutes, themes for graduation, the foundation for small and medium-size enterprises in the first day. After that, the PS partners attended another presentation about Autotool Software System by Prof. Dr. Johannes Waldmann where he presented an online tool as automation of university course exercises dedicated to programming languages. Using the tool, professors can implement problems, facilitate submission and evaluation for the response. This automated system is provided for free and was developed by Prof. Waldmann with the assistance of some of his graduates in Germany. The third session was about AGIL Company by Dr. Roland Billing (Project leader of the Enterprise Europe Network). The company aims at promoting innovation and technology transfer. During this session, BITPAL team was introduced to the company mission and some of its services besides implemented projects targeting different sectors. Some of the company's main services include technology scouts, advisory services for R&D and IPR, besides Innovation and quality management. In the second day, Prof. Klaus Hänßgen started the training by a presentation about the Innovation via modernization of curricula, he focused on the study plan of Media Informatics as an example. The most important part of the plan is the practical semester; students spend one semester of three months in firms and one semester for graduation projects. The methodology of the practical semester management and monitoring is very effective, German system qualifies the students better for the industry. Also, Prof. Dr. Klaus Hänßgen presented some recent Innovative research tasks of HTWK students in Industrial sector and mainly in IT sector, and how the students focus on providing solutions for real problems, trying to improve the quality of real products, or fixing some bugs in existing products in the market.